January 31, 2019 — The methods vary, but the message should be clear: Keep oil rigs off of Georges Bank. For decades, the fossil fuel industry has been looking to set up drilling operations in the waters off the Massachusetts coast. And for years, a coalition of local interests — primarily fishermen, lawmakers and the environmental lobby —have worked long and hard to keep them out. 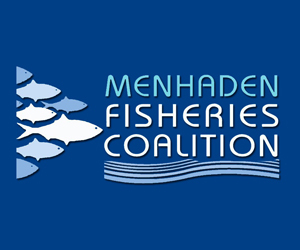 If fishermen and environmentalists are standing side-by-side on the issue, you know it’s important. While the latest effort to stave off exploration — in the form of proposed legislation filed on Beacon Hill last week — may not pan out officially, it sends a strong signal that the state is united in opposition to the expansion of drilling into its historic local waters. 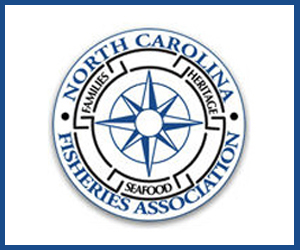 January 7, 2019 — When it comes to fishery management controversy never seems to be too far away. Last month you may have read about the dubious nature of a decision by the New England Fishery Management Council to close a large area of Nantucket Shoals to fishermen who harvest surf clams there, ostensibly to protect fish habitat. 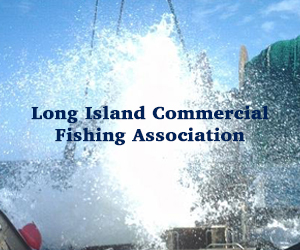 Questionable actions such as these undermine industry confidence in fishery regulators and serve only to alienate, and embitter, fishermen and the many others on the waterfront whose livelihoods are threatened by such draconian measures. With respect to protecting fish habitat allow me to quote from NOAA Fisheries’ own web site (fishwatch.gov) which bills itself as ‘U.S. Seafood Facts.’ The salient quote, with respect to the Atlantic surfclam, spissula solidissima, is this: “Fishing gear used to harvest surfclams has minimal impacts on habitat.” In spite of this fact these traditional grounds have now been designated as essential fish habitat and clamming is banned there indefinitely. NOAA also tells us that surfclams support a valuable fishery. 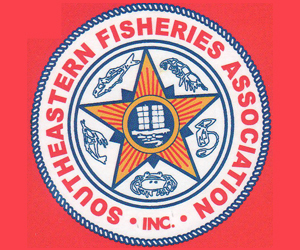 Well, come April 9 it will not be nearly as valuable for those who participate in the harvest and that includes fishermen and shore workers in New Bedford, Gloucester and Bristol, Rhode Island where Galilean Seafood employs around 120 people in this fishery. He also played me some high-resolution video, taken from a dredge-mounted camera, showing the sea bed in the area known as the Rose and Crown, the largest of the areas to be closed. There were no fish, rocks or cobble to be seen, just a solitary skate, on a sandy bottom littered with old mussel shells. “We can’t tow over rocky bottom like a scallop dredge,” he told me. It’s too hard on the gear and anyway clams prefer sand bottom, he said. Conversely, groundfish such as cod and haddock are found on hard bottom. 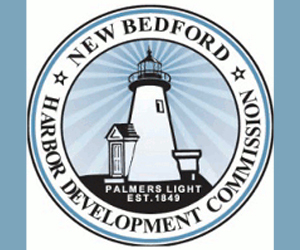 January 4, 2019 — Whatever the future for large scale off-shore wind farms in New England, New Bedford and its first in the nation fishing industry will feel the effects. Renewable energy from sources which include off-shore wind, are an undeniable part of our future. It’s a fair question though whether commercial fishing as it now exists in southern New England, will survive the installation of the largest and most extensive array of ocean based wind turbines in the world. The offshore wind lease areas in federal waters overlay some important fishing grounds and navigation transit areas for the commercial fishing fleet which sails from our coast. The project furthest along in the leasing process is being pursued by Vineyard Wind, which hopes to have all its approvals by the summer of 2019 and begin construction later in the year. Critical decisions are about to made at the state and federal levels regarding the design, spacing and layout of the initial turbines which are planned for the waters near Martha’s Vineyard. This process involves the filing of reports which are public and provide opportunities for comment and reactions. The Draft Environmental Impact Report before the lead federal agency involved, BOEM, is open for public comment through Jan. 21, 2019 and there are parallel state agency filings as well. The public has a responsibility to participate in shaping the decisions that are going to be made and monitor the filings as they are announced. 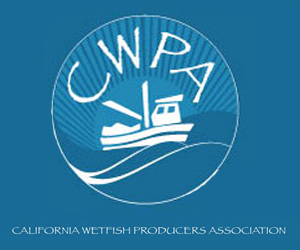 It’s a lot to expect that the fishing industry alone can handle the needed public oversight. Off the Massachusetts and Rhode Island coast alone there are seven different lease areas under review totaling about 1 million acres; their ultimate design configuration will be the first test of how seriously marine resource, safety and navigation issues involving the wind towers will be handled by the government agencies involved. The first maps and plans to be approved are especially important because how those turbines are set up and reviewed by the government will likely set a precedent for how the process is run for the additional lease areas sought by other developers. In other words, there’s a lot at stake not only for the developers, but importantly, the public interest in preserving ocean habitat and the existing ocean-going economy of New England. December 21, 2018 — There’s a growing threat driving the county’s economy toward utter catastrophe. The county’s largest base of employment is on the verge of collapse, putting at risk thousands of family-wage jobs. Family-owned businesses are facing the prospect of absolute ruin, as an entire industry that’s existed for more than a century is pushed to the brink of extinction. If this threat remains unchecked, the impact across the county’s economy — and the thousands of families who live and work here — will be devastating. No, I’m not talking about King County. If I were, you can bet that state officials would be doing all they could to address the threat, treat it like the dire emergency that it is, and ensure the scenario outlined above doesn’t come to pass. But because I’m talking about rural Pacific County in remote southwest Washington, state officials feel perfectly content to look the other way as our jobs, businesses and our entire rural economy tremble in the balance. Willapa Bay is the largest producer of farmed shellfish in the entire U.S. 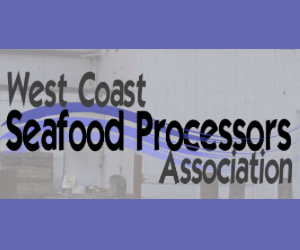 The shellfish industry is the largest employer in Pacific County and the backbone of the rural economy, responsible for more than 2,000 family-wage jobs and $102 million in annual economic output. December 19, 2018 — Catching chinook salmon today requires gear, technique, experience and luck. Catching salmon a year or a decade from now requires science. That means local science. The recent National Climate Assessment notes that Alaska’s temperature has been warming at twice the global rate. To get at what this means for Alaskans, we need University of Alaska scientists. Alaskans are getting a better handle on what a warming world does to salmon runs through the work of a federally funded corps of local fisheries researchers based at the University of Alaska Fairbanks. Known as the Alaska Cooperative Fish and Wildlife Research Unit, its researchers address climate questions from an Alaska perspective. For example, they research how melting glaciers can increase or diminish salmon numbers and for how many years. They consider how the increasing frequency of wildfires plays out on salmon streams. They compare how the same conditions can have different effects on sockeye, coho and chinook salmon. It’s not the gloom and doom of a planet in peril. In some ways, climate change appears to have boosted some salmon counts, at least temporarily. An accurate salmon count depends in part on a good scientist count. Here, the news is not good. Until I hired Alaska assistant unit leader Abby Powell to come run the University of Florida Cooperative Fish and Wildlife Research Unit three years ago, the Alaska unit had five faculty members. It’s down to two. Slowly starving for lack of federal funding, Alaska’s fish and wildlife species science is itself becoming an endangered species. The national Cooperative Fish and Wildlife Research Unit (CRU) program was established in 1935 on the premise that science, not politics, should guide management of national treasures such as eagles, bison, and moose. An administration proposal to de-fund it does away with that premise. The industry collapsed in the 1980s, and the city has since remade itself as a community that takes environmental sustainability seriously. 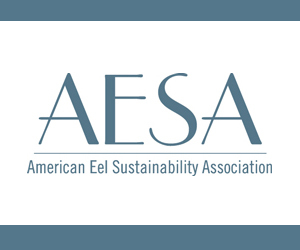 So, it’s no surprise that Belfast is the preferred site for a Norwegian company looking to build a state-of-the art, land-based aquaculture facility, which requires clean, cold water to raise salmon from eggs to adulthood. And it’s also no surprise that the project is under fire by some local activists who say that it’s too big and would destroy an unspoiled wooded area. December 17, 2018 — Last week, the New England Fishery Management Council voted to kick Massachusetts surf clam fishermen off of 80 percent of our historic Nantucket Shoals fishing grounds. Our fishery in these treacherous local waters grosses $10 million per year to the dozen or so boats and their crews, and multiples more to the South Coast fishing economy. Our catch is hand-shucked for a higher value. New Bedford, Fall River, Gloucester, and Bristol, R.I. families stand to lose hundreds of jobs. While the council’s decision was based on habitat considerations, it rejected an option that would have allowed us to fish on about 80 percent of the available surf clam resource while allowing access to less than 20 percent of the overall habitat zone. Half of that access was, moreover, only seasonal, to protect cod spawning. The council had left the final details of “Omnibus Habitat Amendment 2” open for just this type of solution. To be able to continue our fishery, we had ourselves offered electronic monitoring at about 10 times the rate of other regional federal fisheries and volunteered to invest in years of habitat research.